Whangārei Girls High School perform at the 2018 Te Tai Tokerau Festival. Interview with Whangārei Boy's High School after their performance at the 2018 Te Tai Tokerau Festival. Whangārei Boy's High School perform at the 2018 Te Tai Tokerau Festival. Interview with Mangakāhia Area School after their performance at the 2018 Te Tai Tokerau Festival. Mangakāhia Area School perform at the 2018 Te Tai Tokerau Festival. Interview with Mahurangi College after their performance at the 2018 Te Tai Tokerau Festival. Mahurangi College perform at the 2018 Te Tai Tokerau Festival. Interview with Te Kura Kaupapa Māori o Kaikohe after their performance at the 2018 Te Tai Tokerau Festival. Te Kura Kaupapa Māori o Kaikohe perform at the 2018 Te Tai Tokerau Festival. Interview with Rodney College after their performance at the 2018 Te Tai Tokerau Festival. Rodney College perform at the 2018 Te Tai Tokerau Festival. Interview with Te Rōpū o Peowhairangi after their performance at the 2018 Te Tai Tokerau Festival. Te Rōpū o Peowhairangi perform at the 2018 Te Tai Tokerau Festival. Interview with Te Kāpehu Whetū after their performance at the 2018 Te Tai Tokerau Festival. Te Kāpehu Whetū perform at the 2018 Te Tai Tokerau Festival. Interview with Te Wharekura o Te Tonga o Hokianga after their performance at the 2018 Te Tai Tokerau Festival. 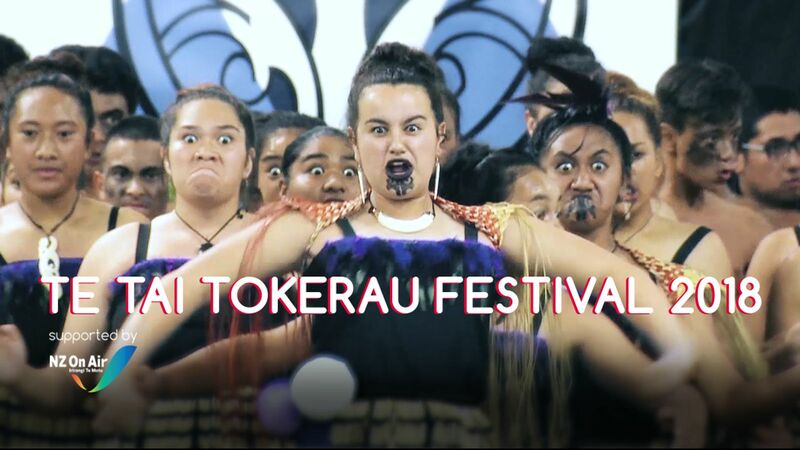 Te Wharekura o Te Tonga o Hokianga perform at the 2018 Te Tai Tokerau Festival. Interview with Te Pū o te Wheke after their performance at the 2018 Te Tai Tokerau Festival. Te Pū o te Wheke perform at the 2018 Te Tai Tokerau Festival. Ōkaihau College perform at the 2018 Te Tai Tokerau Festival. This livestream is sponsored by NZ on Air.